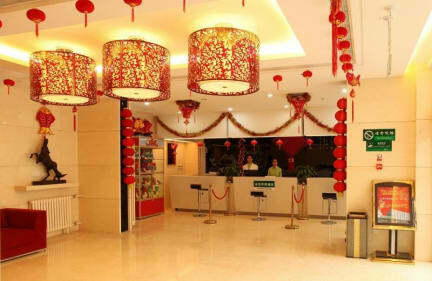 Shanshui Trends Hotel (Qianmen Branch) is located in south Second Ring Road, west Qianmen Street, Xicheng district. It’s opposite Beijing Friendship Hospital, adjacent to Tiantan Park, Taoranting Park, Beijing Museum of Natural History, Huguang Guild Hall and Tiananmen Square. It’s 3 km from Beijing Railway Station, 4 km from Beijing West Railway Station, 2.5 km from Beijing South Railway Station and 40 km from Beijing Capital International Airport. 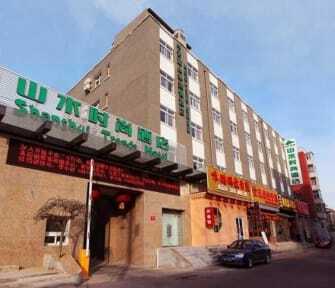 It’s adjacent to Muxiyuan business zone, Liulichang Street, Qianmen pedestrian street. Big supermarkets like Wal-Mart, Carrefour, Wu-mart, Merry-mart and shopping malls like New World Department Store, Glory Mall, Hongqiao Market are nearby. It’s close to Subway Line 2, Line 4 and Line 5. The traffic is convenient.